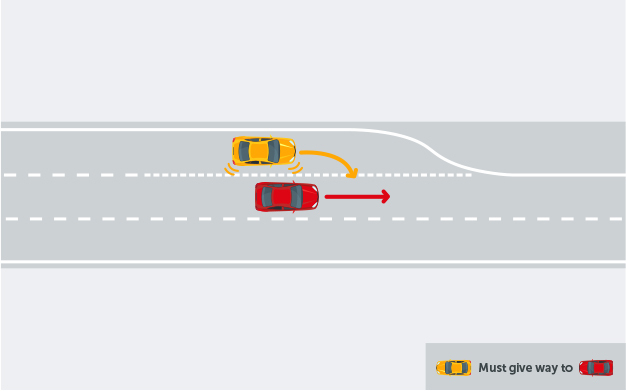 Knowing who gives way in every driving situation can be tricky not just for new drivers but for experienced drivers as well. 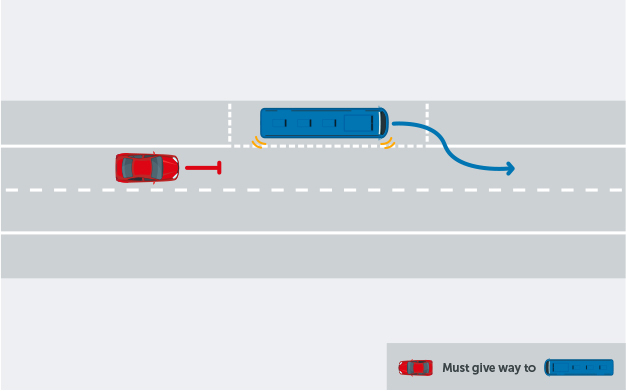 Knowing who gives way in every driving situation can be tricky not just for new drivers but for experienced drivers as well. 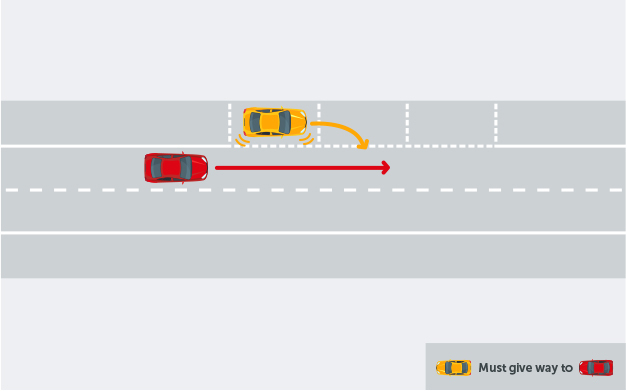 25% of the road accidents that occurred in Australia in 2016 happened as a result of drivers failing to give way, which tells us that it might be time for a refresher on the basics. 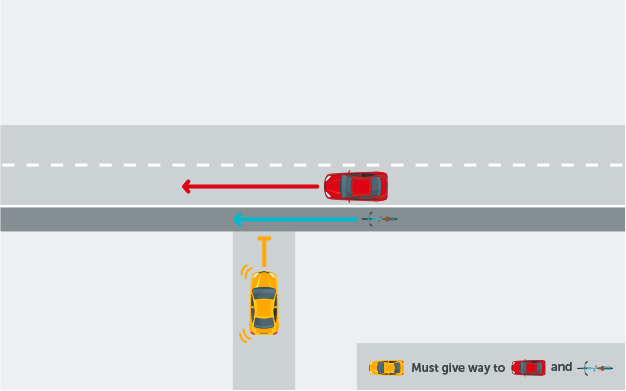 We’ve made a comprehensive guide complete with illustrations of all the different ways you need to give way on Australia’s roads. Drivers must give way to all vehicles already travelling on the roundabout, not just those to the right of them. 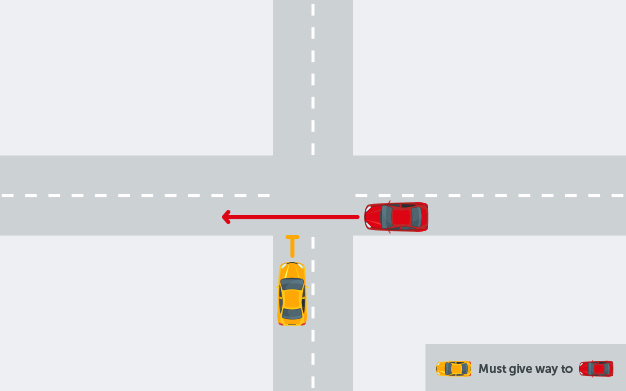 If two drivers arrive at the same time, the car to the right goes first. At an uncontrolled (no signs) crossroad you must give way to traffic travelling in the opposite direction when they are travelling straight and also turning left. 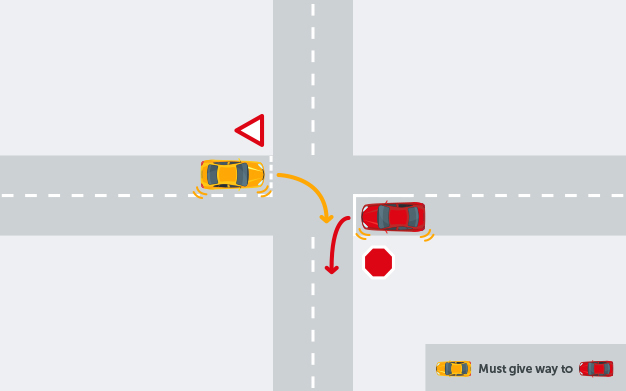 If you’re driving on a road that ends in a T-intersection you must give way to all vehicles travelling on the road continuing through the intersection (except for those doing a U-turn). You must give way to all vehicles and pedestrians before giving way, even if they are facing a give way or stop sign. 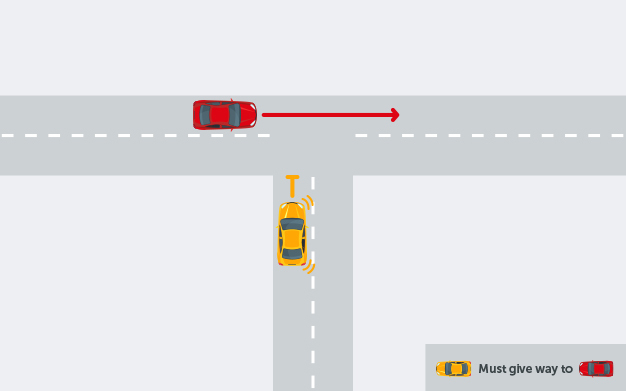 At an intersection with both a stop and give way sign, drivers arriving at the intersection must give way to all vehicles on the road before giving way to each other. You must give way to vehicles turning right across your path if you are facing a give way sign. When the speed limit is 70km/h or less you must give way to a bus that has a give way sign on the back of it. 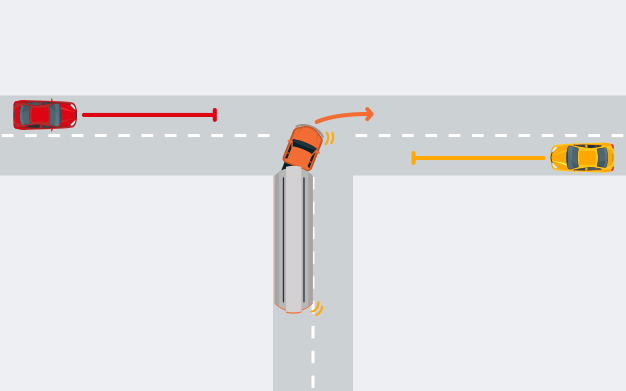 This includes when a bus is re-entering traffic from a bus stop or from the side of the road. Parked cars looking to enter traffic must give way to all other moving traffic and signal for a minimum of 5 seconds that they are planning to merge/enter. On a road that comes to an end you have to give way to traffic that is already travelling on the lane you are merging into IF there are lanes marked on the road. 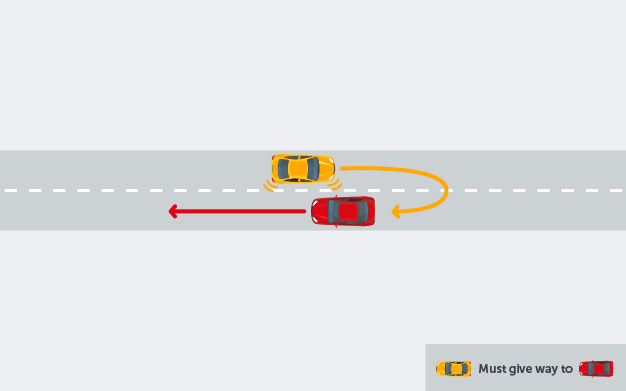 If there are no lanes marked on the road, whichever car is ahead of the other has right of way and the car behind must merge. When leaving or entering a road you must give way to all cyclists and pedestrians on the footpaths or road and all vehicles travelling on the road. Trucks and larger vehicles can often need more space on the road, when giving way to larger vehicles ensure that they have enough room and don’t travel too closely to them.